Meatball forming machine is mainly used to make the chicken meatball, fish ball, shrimp ball, beef meatball, etc. 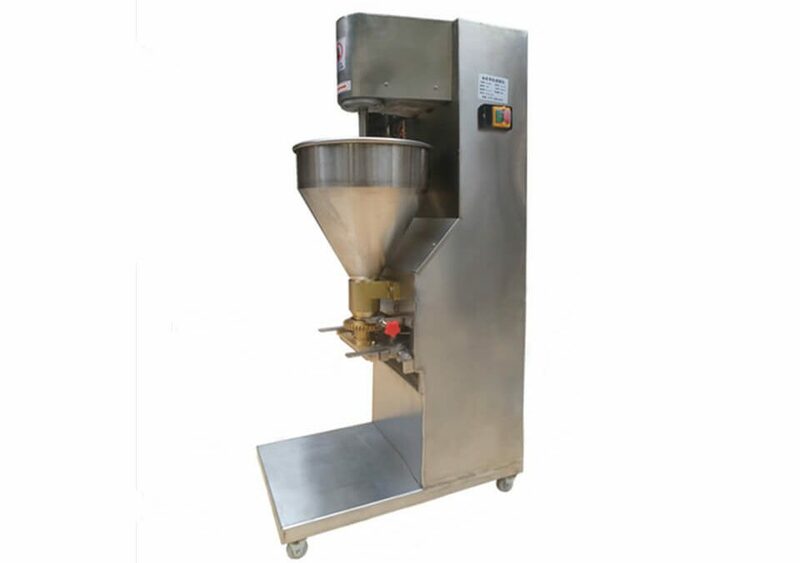 The whole meatball production line includes a meat grinding machine, frozen meat slicer, stuffing mixer, meat chopper, meatball machine, meatball forming tank and meatball frying machine. 1. 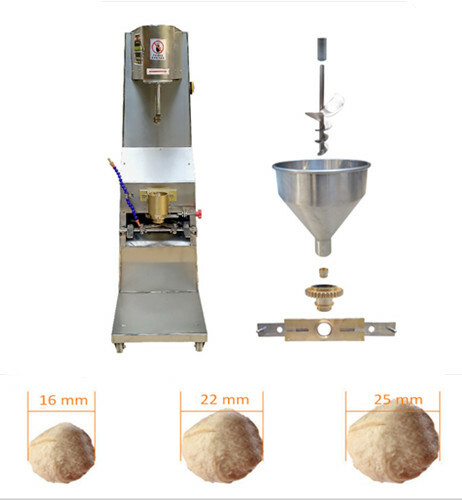 Meatball molding machine can make meatballs with different flavors. Little space occupancy, lightweight, energy and time-saving. 2. Compact structure, easy operation, large capacity and cost-effective price. 3. The meatball made by the meatball press machine is of good quality, uniform size, good taste flavor and smooth surface. 4. The meatball rolling machine is of reasonable design and easy operation. 5. 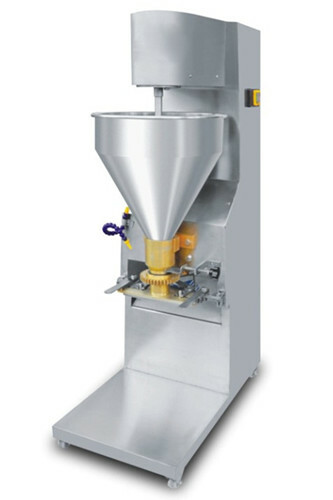 The meatball maker machine is wholly made of SUS304 stainless steel which reaches the international food hygienic standard. 6. The transmission and control parts all adopt famous components which ensure the long-term service time and running accuracy. 7. Meatball size: 16 mm,22 mm, 25 mm.